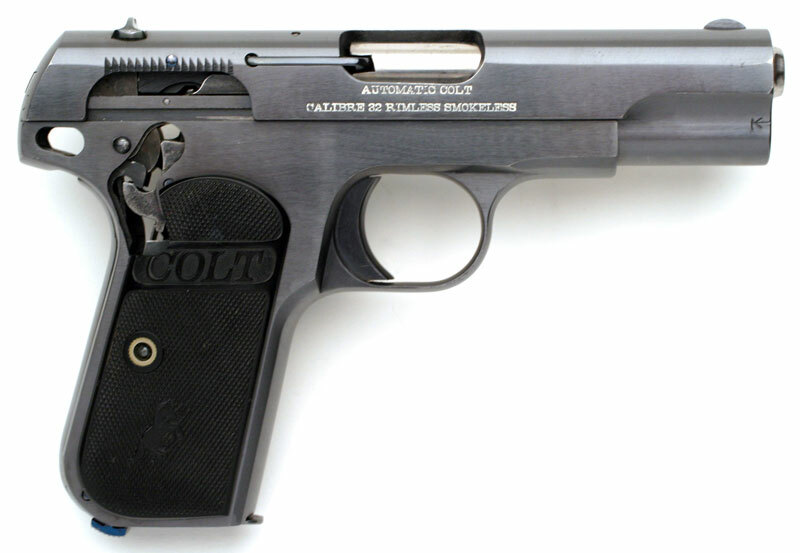 One of ten factory cutaway Colt Model 1903 Pocket Hammerless .32 ACP Pistols - Blued finish with 1914 grips featuring small pony. 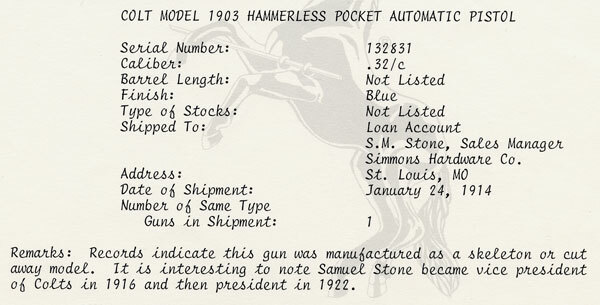 This gun was a single gun shipment shipped on January 24, 1914 to Loan Account, Samuel Stone, Sales Manager, Simmons Hardware Co., St. Louis, MO Stone later became vice-president of Colt in 1916 and then president in 1922. Both sides have been cutaway to expose the internal workings of the pistol. Markings are hard to see because of white lacquer stick used by previous owner to highlight markings. 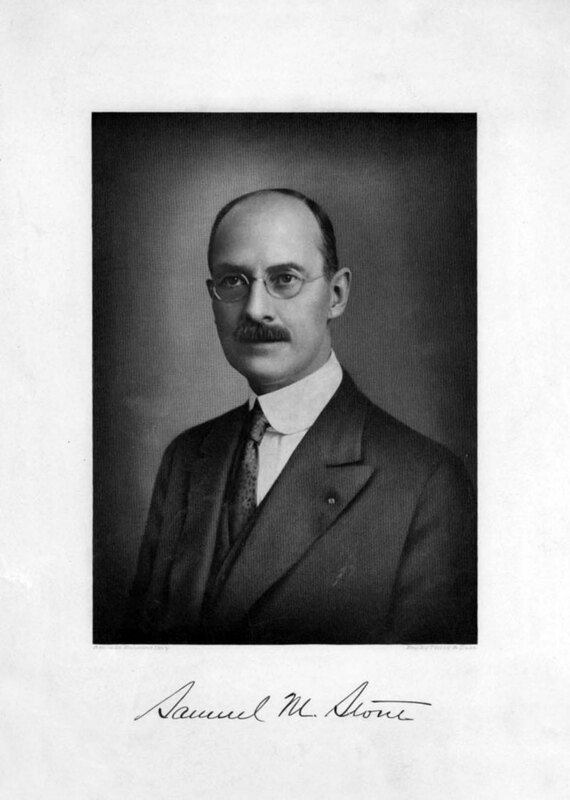 Samuel M. Stone - President of Colt's Patent Fire Arms Manufacturing Company beginning in 1922. 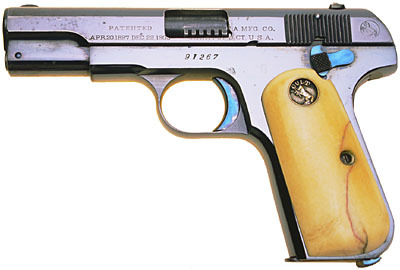 Model M .32 ACP, Type II, factory cutaway to expose barrel locking grooves - Fitted with an original factory pair of recessed medallion ivory grips. The dimensions of the barrel locking grooves were changed around this time period. 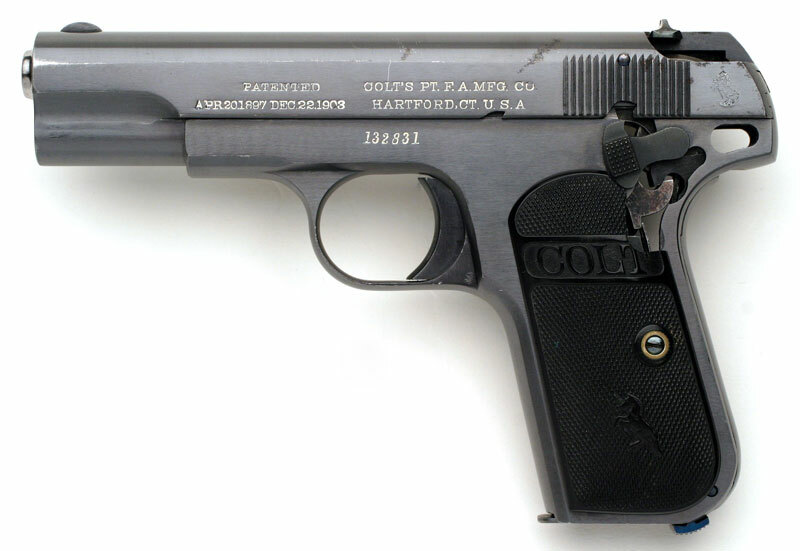 Note the absence of the "VP" verified proof mark on the upper flat of the trigger guard. 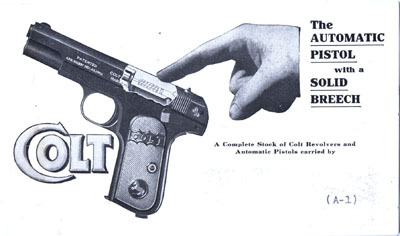 Early counter giveaway which highlights the solid breach on the Colt Automatic Pistol.